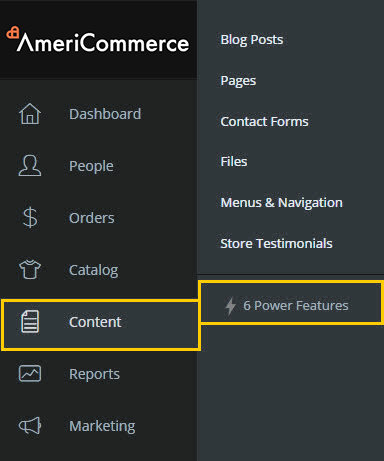 Note: Only AmeriCommerce support personnel have permission to edit the default store text. To make changes to your store, you need to create a new store text record, and assign it to your store. Click New in upper right hand, Enter Name of the Store Text Profile, then click save. After making the needed changes to the Store Text, click save in the upper right hand corner. Next the store text will need to be assigned to a store. 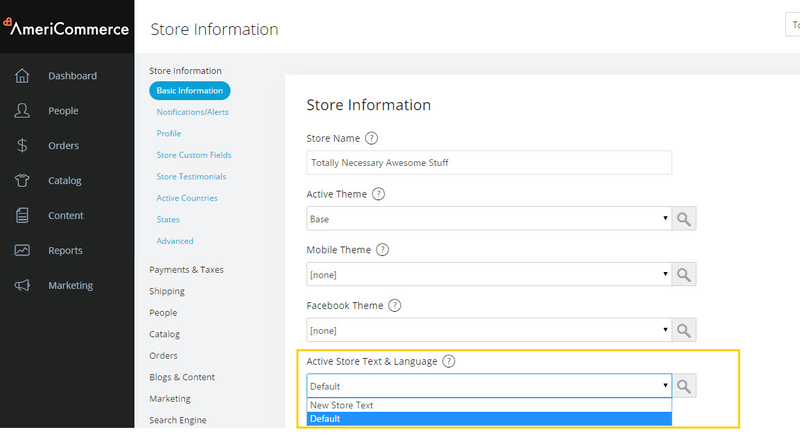 From here, select the new Store text name from the Active Store Text and Language drop down. Then click save in the upper right hand corner.